You know what makes you feel like a rockstar mom? Handing your kid a brownie for breakfast and watching their face light up with confused, but unfettered joy. 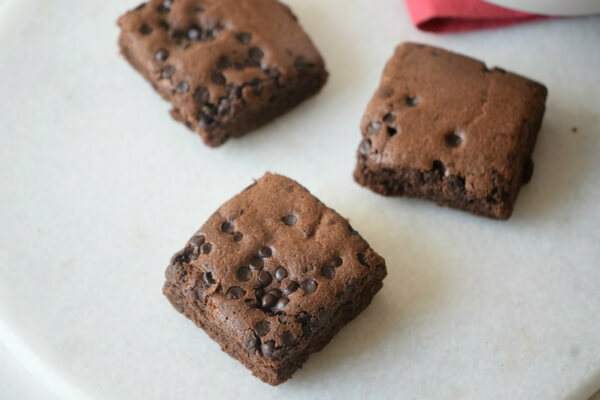 With this sugar-free black bean brownie recipe, you can be that rockstar mom… and not have to deal with a sugar high (and subsequent crash) at 9am. I had tried a black bean brownie recipe before, and was pleasantly surprised at the results, but every recipe that I knew of still had refined sugar as a main ingredient (or relied on artificial sweeteners). No. Thank. You. So, we set out to make a great-tasting, sugar-free black bean brownie recipe with whole foods (that wouldn’t taste like we made a sugar-free black bean brownie with whole foods). 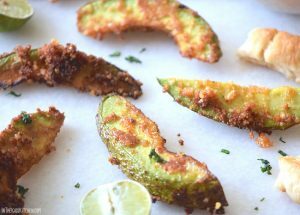 This recipe needs a food processor to really break up the beans and incorporate the other ingredients. I cannot vouch for results that don’t use a food processor. But the nice thing about using the food processor is that kids can help since all you need to do is throw in the required ingredients and blitz it all up! These brownies don’t taste like a super indulgent, super chocolatey brownie – in order to do that, you would need to add unhealthy ingredients – but it is tasty and my kids always gobble them up without pause. Note: The addition of chocolate chips may add sugar, depending on the type used. Preheat your oven to 350F and line or grease a 9×9″ square pan. 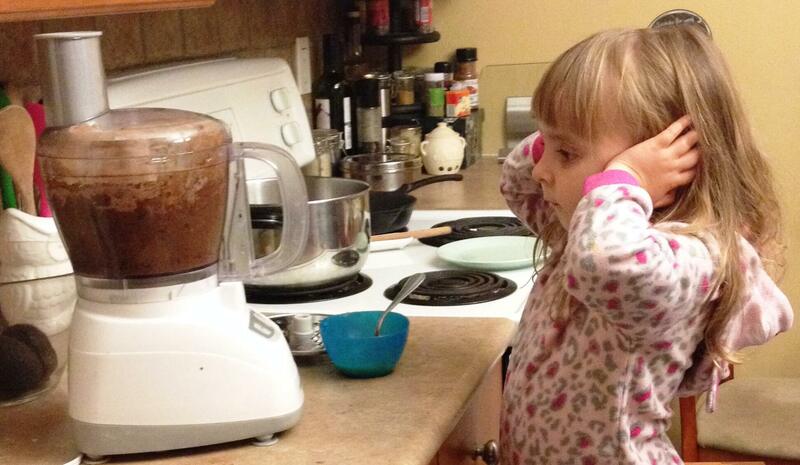 Have your child put all of the ingredients ingredients into a food processor. Cover your ears and blend! Scrape the batter into the prepared pan and smooth it down with a spatula. Bake at 350 for 20-25 minutes until set and a toothpick inserted comes out with crumbs but no wetness. 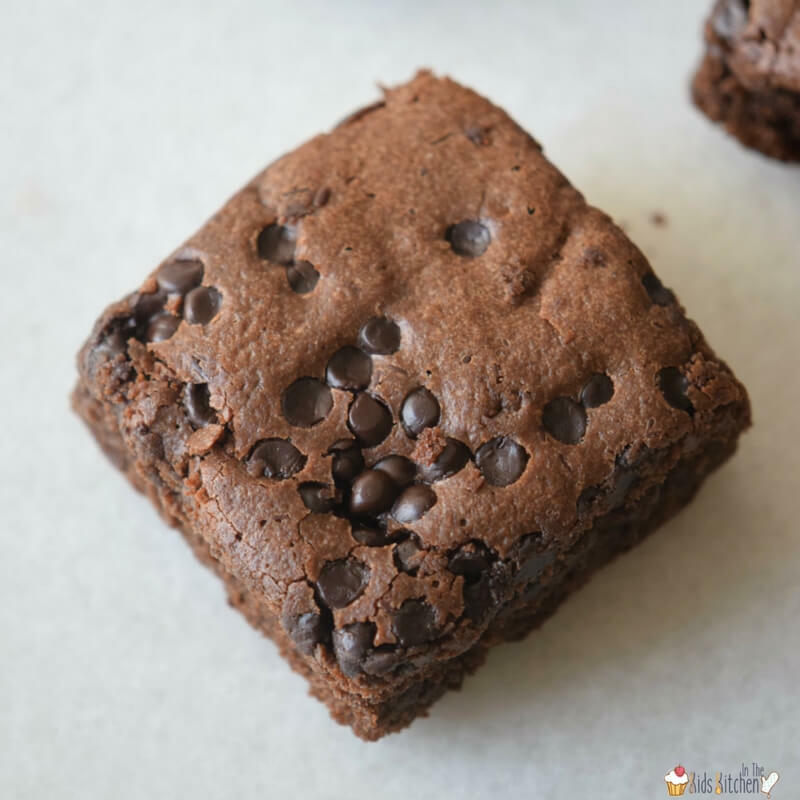 These sugar free black bean brownies are crumbly, fudgy, and all of the good things that brownies should be. We’ve made these twice now, and next time I’m going to be adding in some good-quality chocolate chips… to my half of the pan anyways. Preheat your oven to 350F and line or grease a 9x9" square pan. 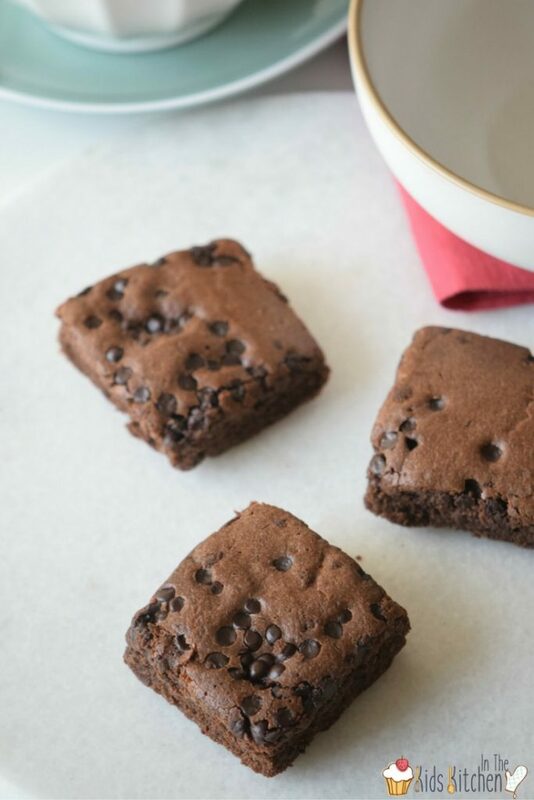 Do you have a brownie lover in your house that would go crazy for breakfast brownies? I’ve heard of these, but never tried them. Pinning for later! I tried making these for my sister who has cancer and is avoiding white flour and sugar. These had an awful taste and I could not even eat these. I used dark cocoa powder which maybe was the problem. My batter was much darker than yours and it took at least 45 minutes to an hour before it was done. Did you drain your beans? I didn’t add any chocolate chips but other than that I used your recipe as it was written. I’m sorry for the delay – your comment got caught in our spam filters. 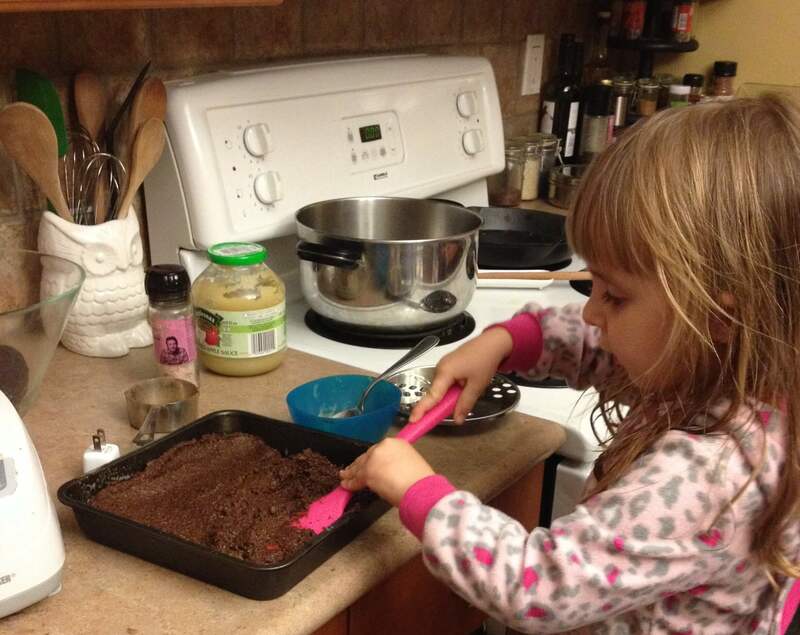 I’m sorry you had a bad experience with this recipe – we’ve made it several times and the kids love it! I only like it with chocolate chips added 🙂 As I mentioned in the post, it does not taste like a super-chocolatey, indulgent brownie but it should still taste nice. You do need to drain the beans, and I will add that to the recipe in case that wasn’t clear.